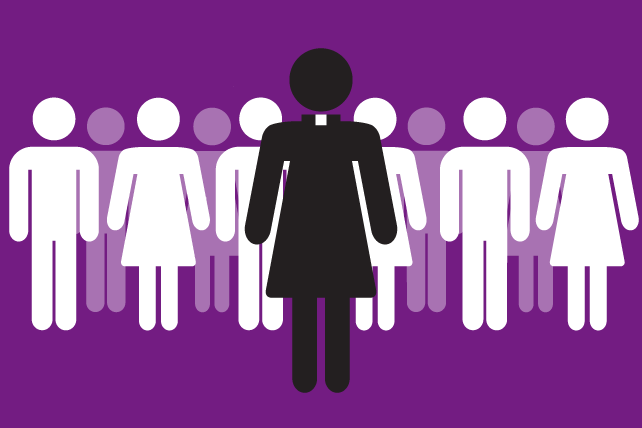 The percentage of clergywomen in most mainline denominations has doubled or tripled since 1994. That’s one key finding from “State of Clergywomen in the U.S.,” a statistical study released recently by Dr. Eileen Campbell-Reed. The professor of practical theology at Central Baptist Theological Seminary in Kansas says she wanted to “remedy” a “deficit of information” about female leadership in the church. It’s been 20 years since the last major multi-denominational look at clergywomen, Campbell-Reed notes. That’s when the landmark study Clergy Women: An Uphill Calling was released, using data from mostly white denominations. Campbell-Reed’s new study uses numbers from a broad range of denominations and traditions. Her research also looks at clergywomen of color and clergywomen who identify as LGBTQ. According to the new “State of Clergywomen” study, women now comprise one-fifth (20.7 percent) of clergy in the United States. That’s up from 2.3 percent back in 1960, based on census data used by sociologist Wilbur Bock. Numbers vary based on what denominations are included in the reporting. Campbell-Reed’s report states that “the combined average percentage of female pastors in the Mainline churches stands at 27” now. That contrasts with Barna’s 2017 State of Pastors report, which estimated that 9 percent of U.S. pastors are women. Barna’s report spans all Protestant groups, some of which don’t allow women to serve as pastors. America’s two largest denominations, the Roman Catholic Church and the Southern Baptist Convention, have virtually no clergywomen. But Campbell-Reed notes that “Untold numbers of women have come from those traditions to become leaders in other denominations.” In the Roman Catholic Church, 80 percent of lay ministers are now women. Splintering that’s occurred among Baptists has made those numbers more difficult to track, the professor notes. Some denominations, such as the United Church of Christ, now have approximately equal numbers of men and women serving as pastors. In three denominations—Episcopal Churches, Evangelical Lutheran Church in America (ELCA) and the Assemblies of God—the percentage of clergywomen tripled between 1994 and 2017. And in three other denominations—United Methodists (UMC), Disciples and Brethren—the number of women in pastoral leadership has doubled during that same time period. To dive deeper into that trend, the professor explored areas including “the Mainline gap between women’s MDiv enrollment (50 percent) and women’s status as ordained clergy (32 percent) and pastors (27 percent)” and the fact that fewer white women and more women of color are attending seminaries. Female pastors of color have made some significant gains in the past 20 years, Campbell-Reed notes. Several clergywomen of color now have leadership roles in some denominations, including the UMC and ELCA.